Seeing a Game One blowout in the World Series is a fairly rare site. In fact, prior to last night’s 8-1 win by the Red Sox over the Cardinals, there had been only 10 World Series Game Ones that were decided by seven runs or more. Here’s a look at those 10 seven runs or more blowouts in previous World Series Game Ones. Notice that getting blown out in Game One has happened before to the Cards; they have now lost three Game Ones in the World Series by seven runs or more (most in World Series history). In the 109-year history of the Fall Classic, Game One has traditionally been a close game. Thirty-eight times (34.9%) the first game of the World Series ended in a one-run game. In just over 51% of the World Series Game Ones, the margin of victory was either one of two runs. Finally, how will the Cardinals rebound from last night’s drubbing? If the past is any indication, it might not be very well. In the previous 10 blowouts in Game One, the team that won Game One also won Game Two seven times. The 1937 NY Yankees were the only World Series team to win both the first and second games of the World Series by seven runs or more. We can probably expect a closer game in Game Two, but you have to go back to 1982 to see a team rebound from a Game One blowout and win Game Two… in ’82 the Milwaukee Brewers won Game One 10-0. Their opponents, the Cardinals, took Game Two with a 5-4 victory. Can the Cardinals of 2013 repeat what happened in the 1982 World Series? With the World Series getting started tonight in Boston, here are a couple of interesting stats to ponder before the first pitch. Depending on your team allegiance in the series, you may be happy (or sad) to read these facts. Same record. The World Series this year features two teams that had the same regular season record, 97-65. This is the first World Series in over a half-century where the opposing teams had the same regular season record. Last time it happened was in 1958 when the 92-62 New York Yankees faced the 92-62 Milwaukee Braves. This is also only the fifth time it has happened in the 108-year history of the Fall Classic. It also happened in 1951, 1949 and 1903. Think about this: In the previous four times it occurred, the American League won the World Series. Good omen for the Red Sox? Question: Does it really matter which World Series team had a better record in the regular season? The World Series team with the better record has won 24 of the 52 World Series dating back to 1960. Best record in league. Back in 1995 MLB went to the current format of three divisions in each league. Since 1995, this is only the third time that the team with the best record in the American League will face the team with the best record in the National League in the World Series. Both St. Louis and Boston had the best regular season records in their respective league. The other times it happened: 1999 World Series (Atlanta versus the New York Yankees) and 1995 (Cleveland versus Atlanta). In 2007, World Series foes Boston and Colorado tied for the best record in their leagues. From last to the World Series: The Red Sox this year become the sixth team in MLB history to go from last place to the World Series in the following season. In 2012, Boston finished fifth in the five-team A.L. East, 26 games out of first place. Here’s a look at the teams that went from last place to the World Series in consecutive years. Atlanta, 1990: Finished sixth in six-team division, 26 games out of first. Lost the World Series in 1991. Minnesota, 1990: Finished fifth in five-team division, 29 games out of first. Won the World Series in 1991. Philadelphia, 1992: Finished sixth in six-team division, 26 games out of first. Lost the World Series in 1993. San Diego, 1997: Finished fourth in four-team division, 14 games out of first. Lost World Series in 1998. Tampa Bay, 2007: Finished fifth in five-team division, 30 games out of first. Lost World Series in 2008. Boston, 2012: Finished fifth in five-team division, 26 games out of first. ???????????????????????? You noticed that only one team (of the five) above won the World Series after being in last place the previous year, right? Bad omen for the Red Sox? Sports Stats ‘on Tapp’ is a sports statistics blog published daily focusing on stats that go beyond the numbers. 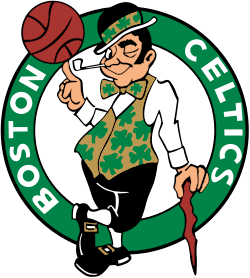 The Boston Celtics and Philadelphia 76ers will square off in Boston Saturday in Game Seven of their Eastern Conference semifinal series. This will be the seventh Game Seven the Celtics have played in the last eight years. This will be Philadelphia’s first Game Seven since the 2001 Eastern Conference Finals when they defeated the Milwaukee Bucks to advance to the NBA Finals. 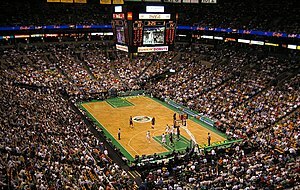 The 76ers did play a decisive Game Five in 2002 in a five-game first-round series against the Celtics. The Celtics won that contest. Here’s a look at the last 21 Game Sevens (since 2005) and a handful of statistics that may determine who wins Saturday’s game. 1. Points: In the past 21 Game Sevens, the winning team has averaged 98.5 ppg while the losing team has averaged only 82.9 Teams that have scored 100 or more points have won eight and lost two. Teams that score 90 or more points are 15-7; teams that score 80 or more points are 20-11. The winning team has given up 90 or more points in only seven of the 21 Game Sevens. 2. Point Differential: None of the last 21 Game Seven have been decided by three or fewer points. Eight of the games were decided by four to nine points. Teams won by 10 or more points in seven of the games; teams won by 20 or more points in six of the Game Sevens. 3. Home Team: The home team won 14 of the last 21 Game Sevens, including seven of the last eight. The last away team to win a Game Seven: This year when the Clippers defeated Memphis in the first round of the playoffs. 4. Game Six: There doesn’t seem to be an advantage for the team that wins Game Six. The team that won Game Six only won eight of the last 21 Game Sevens. 5. Leads at the end of the quarter: The team that leads at the end of the first quarter won 18 of the 21 games. The team leading at halftime won 19 of 21. The team leading going into the fourth quarter won 17 of 20 (there was one tie at the end of the third quarter). 6. 20-Point Scorers: The team that won Game Seven had at least one player score 20 or more points in 20 of the 21 games. The losing team had a 20-point scorer in 14 of the 21 games. The Game Seven winning team had two 20-point scorers in 10 of the 21 games; the losing team had a pair of 20-point scorers in five games. 7. Turnovers: Committing fewer turnovers was not a significant stat in the last 21 Game Sevens. The winning team had fewer turnovers in only nine of the 21 games. 8. Shooting Percentage: The winning team had a higher field goal percentage in 16 of 20 games (in one game both teams had the same percentage). In 19 of the 21 games, the winning team made a higher percentage of three-point shots made than their opponents. 9. Rebounds: The Game Seven winning team had more rebounds than the losing team in 15 of 19 contests (in two games the teams had the same number of rebounds). 10. Game Seven Appearances: The Boston Celtics have played in six of the last 21 Game Sevens, tops in that category. The Celtics are 3-3 in those games. The Los Angeles Lakers and Houston Rockets have each played in four Game Sevens since 2005. The Lakers won three of those four games; the Rockets lost all four of their Game Sevens since ’05. Detroit, San Antonio and Atlanta have each played in three Game Sevens since 2005.